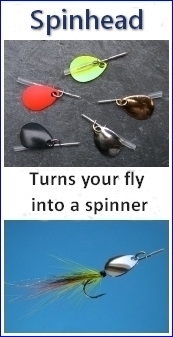 Here is a step by step sequence for tying simple sea trout tube flies, dressed on slim stainless steel needle tubes of diameter 1.5 mm. 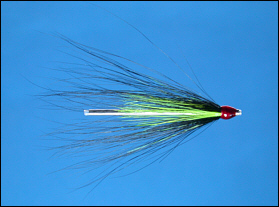 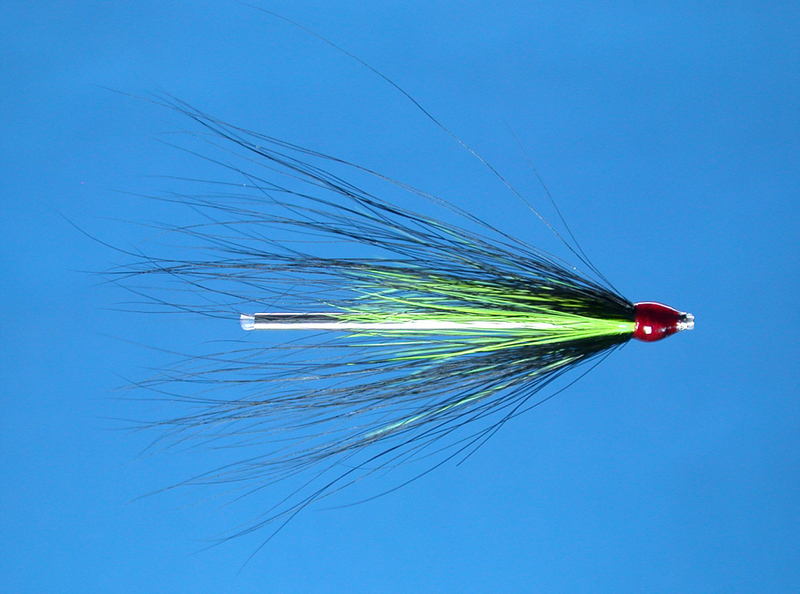 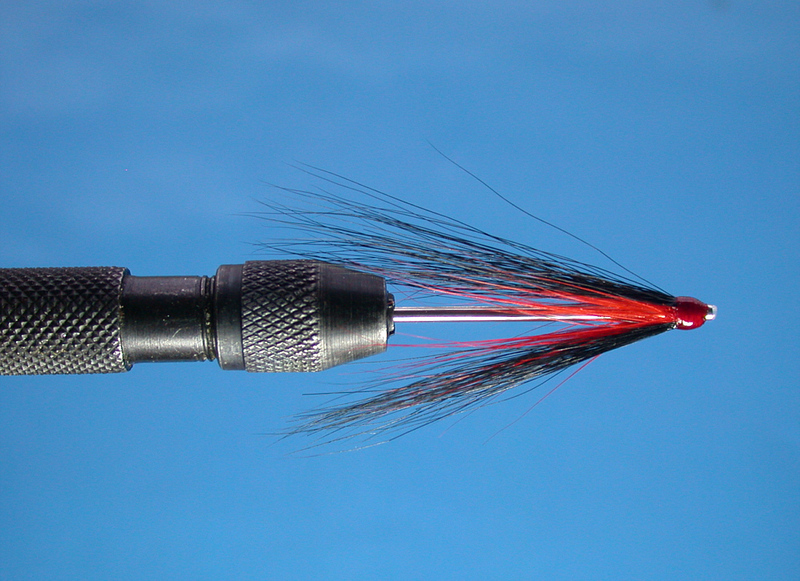 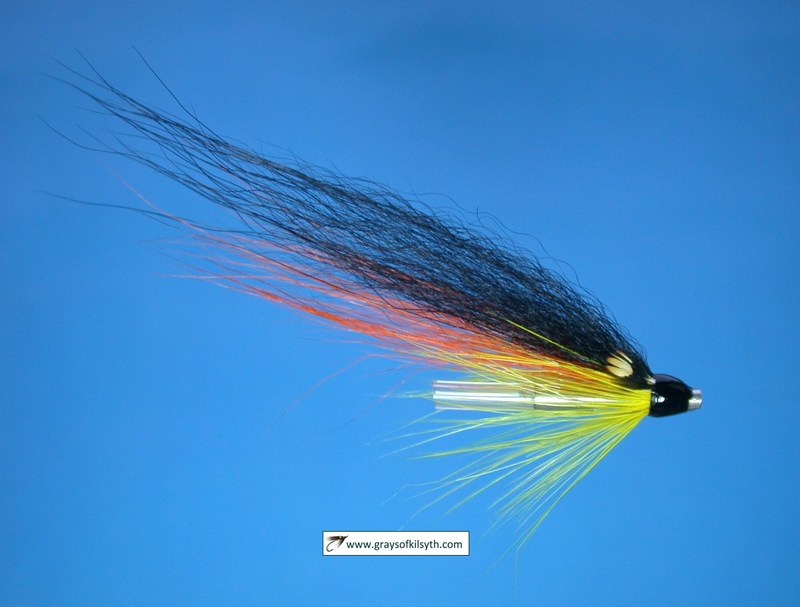 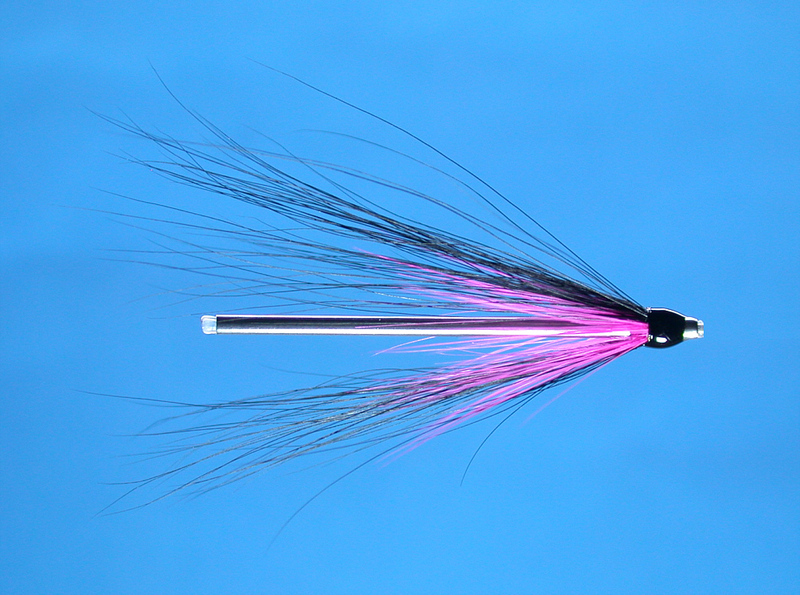 The tube flies consist of no more than a coloured hackle and black squirrel hair wing and are intended for night time sea trout river fishing throughout the summer months. 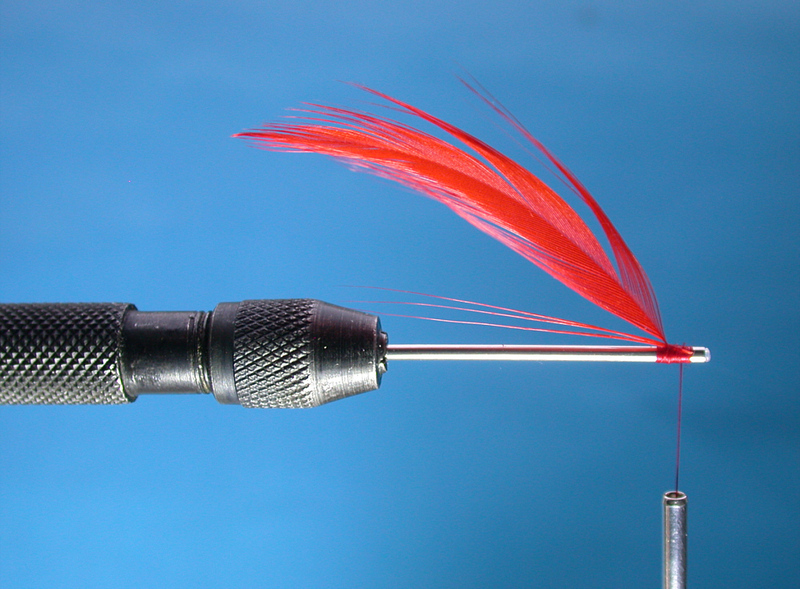 They are very simply dressed. 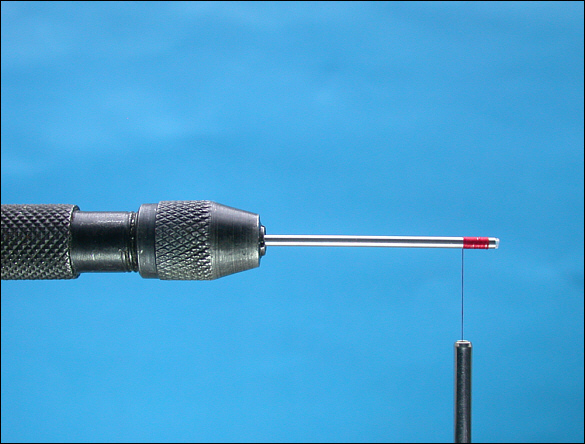 The slim silver tube is left undressed. 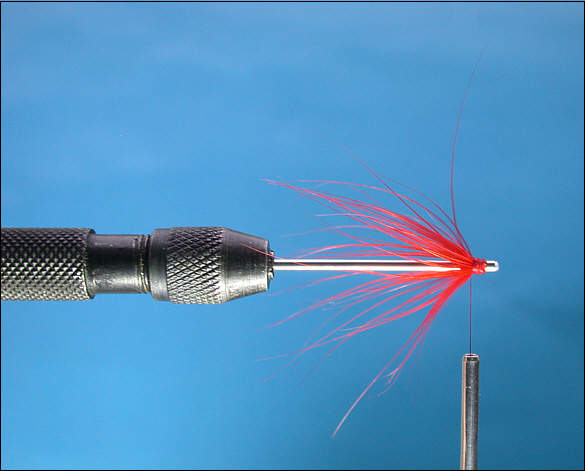 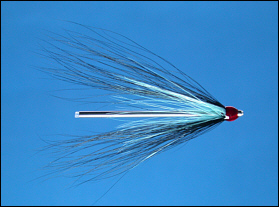 The hackle gives support for the outer hair wing, helping it stand out from the body of the tube and give more movement. 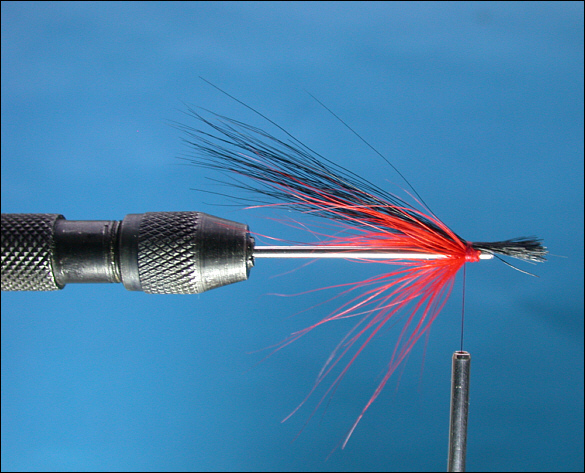 As sea trout cannot distinguish colour at night, the colour of the hackle, which may be selected to taste, is of little importance except in providing a degree of contrast and tonal variation. 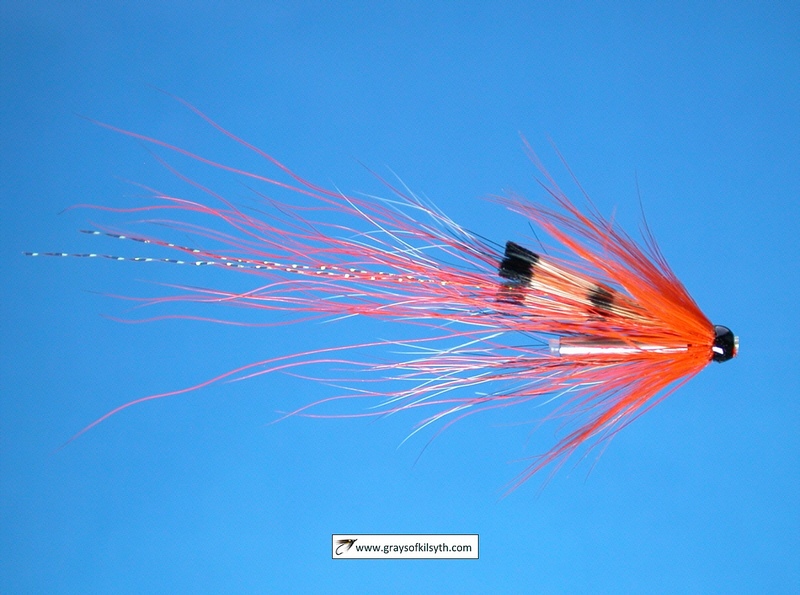 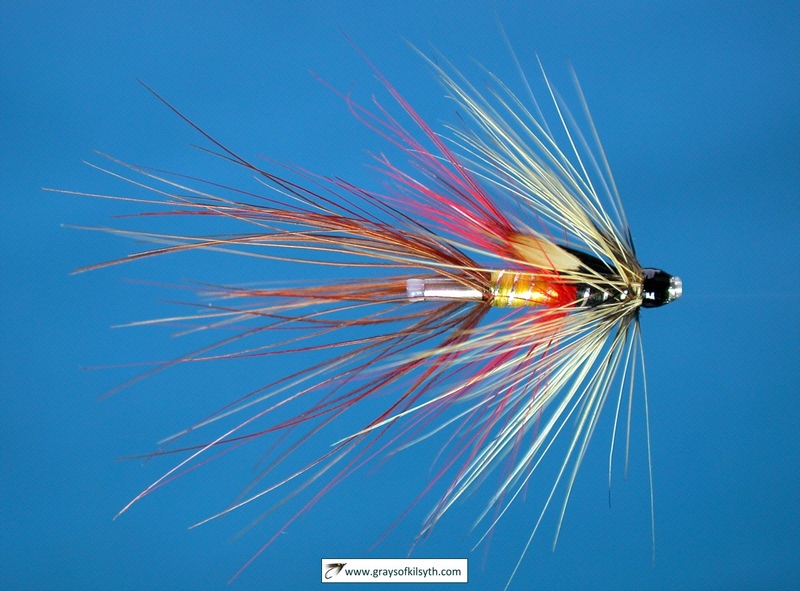 Tie in an orange hackle. 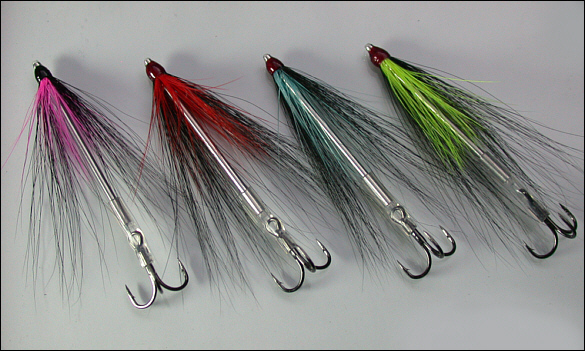 Colour may be varied to taste and for tonal quality. 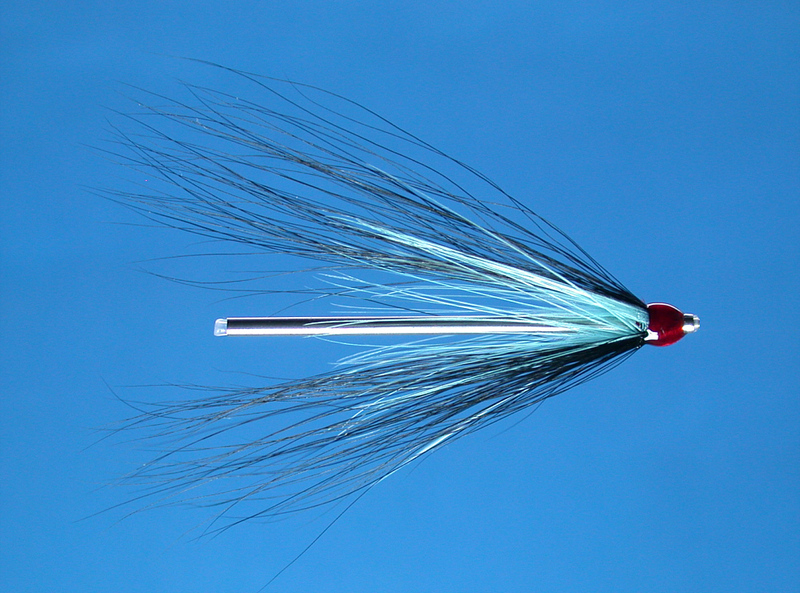 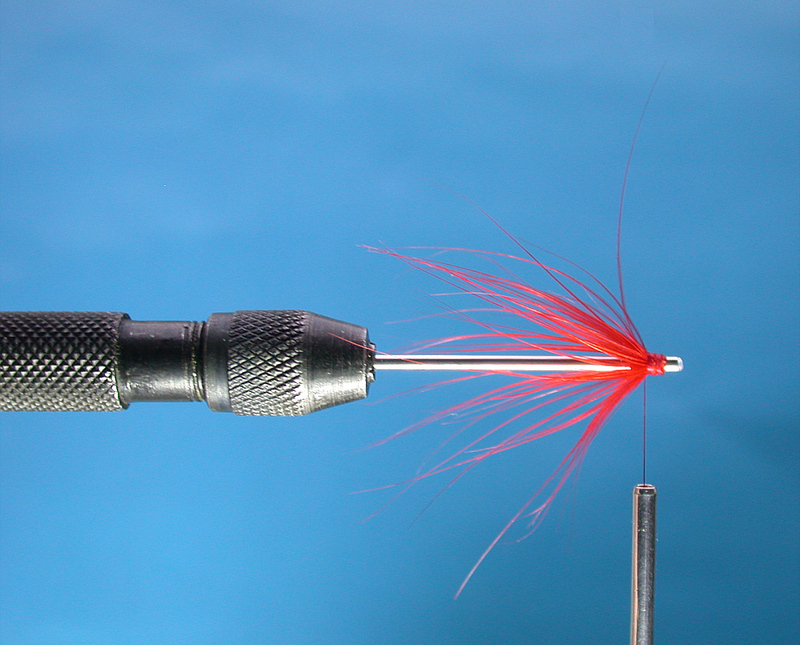 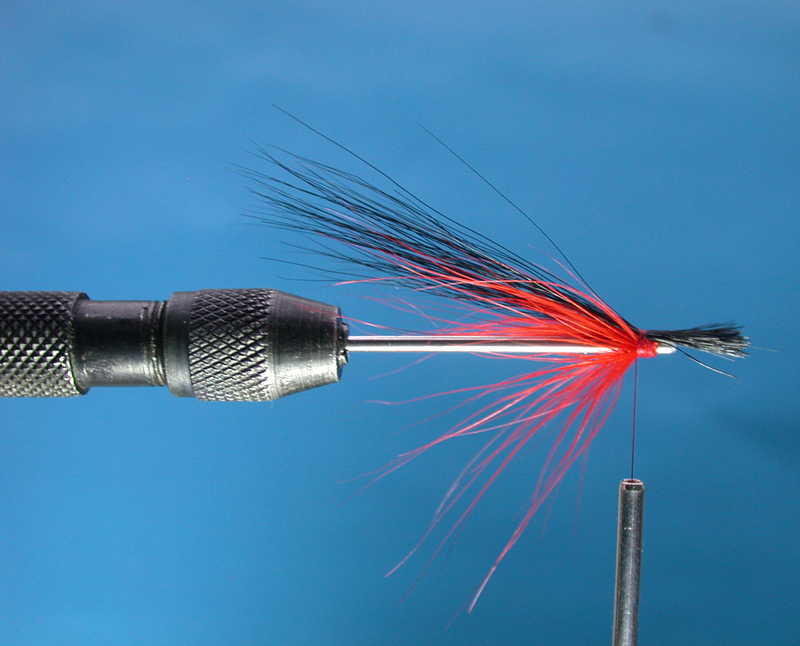 Wind a few turns of hackle, trim stalk and tie back to desired angle. 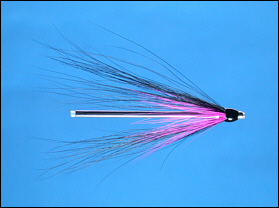 Tie in a bunch of dyed black squirrel tail hair on the top side of the tube. 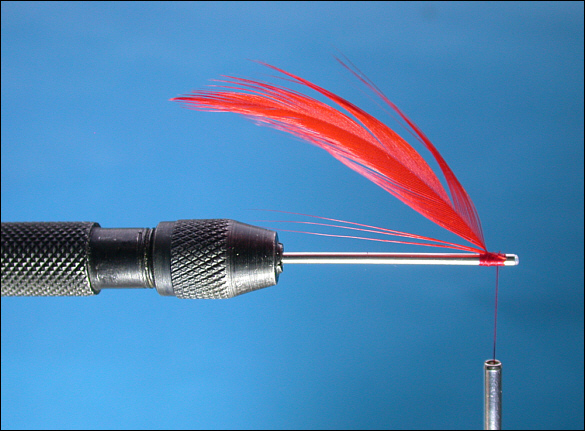 Rotate the vice through 180 degrees and tie in a second bunch of squirrel hair opposite the first. 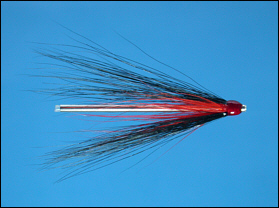 Form a neat head and apply two or three coats of varnish.